The scheme could lower the cost of going abroad for work - which can cost thousands of dollars in fees - and curb the abuse and trafficking of Bangladeshi migrant workers, said the Ministry of Expatriates' Welfare and Overseas Employment (EWOE). "The plan is to ask the recruiting agencies to provide us with the details of the brokers who are unofficially working for them," said Raunaq Jahan, a senior civil servant with the EWOE. "After that we will spread these names and make people aware of the certified brokers," she told the Thomson Reuters Foundation. "This move can prevent human trafficking." 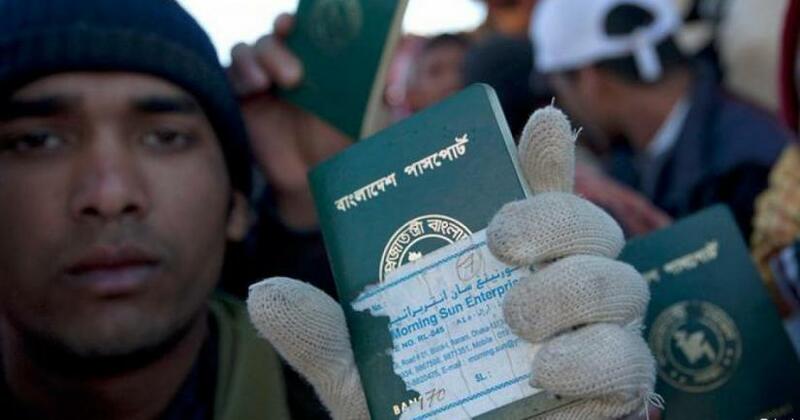 The vast majority of Bangladesh's migrants depend on brokers to find work overseas, and about half experience some form of fraud or harassment, according to the Refugee and Migratory Movements Research Unit (RMMRU) - a migrant rights organisation. "That's why the job seekers are dependent on the middlemen to reach these agencies and go abroad," he said. "At the same time, the agencies, which lack the capacity, also depend upon the informal networks," Islam added. "The only document likely to exist is the government fee receipt," the director said. "No-one is taking responsibility for the big amount of money in the middle ... so there is no real way to prove as to where all the money goes at the moment." "If they make us official and give us a monthly salary that will be good for everyone," he said. "The amount of cheating will decrease because everyone will be answerable." "If you want to reduce the migration fee, you can't add more stakeholders to the system," said Shameem Ahmed Chowdhury Noman. "Who is going to pay the brokers when they become official?" "I said no," Mahbub said. "I had enough. I have no money left. I was fooled twice and I knew he wasn't saying the truth."